How much do we worship this heavenly book? Sofia gives you the keys to a kingdom of knowledge. Plus a treasure trove of stickers! First reading and (of course) first manners. We love Sofia: so wise, so pretty. Is it any surprise that her new learning series is clever and beautiful too? Fantastic books full of magical colour pictures and simple learning puzzles. All set in and around Sofia’s fairytale castle. 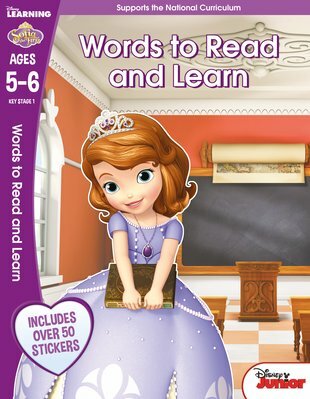 Expect stickers, lovely colour pictures, a cut-out game and special ‘Let’s Read’ story sections. The nicest and most royal way to learn.